Tracy Duncan runs the website portion of Club Jade. 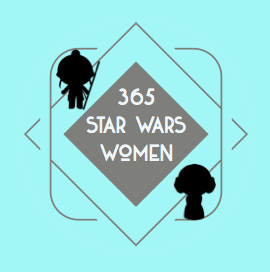 She was kind enough to answers a few questions via email for 365 Days of Star Wars Women. It was 1991, so the Original Trilogy, which then led me to the novels. My parents had bought Heir to the Empire, and that had led them to getting the movies for Christmas, so the combination of the two, really. I was a really big reader as a kid, so I can honestly say that without the novels, it wouldn’t have held my attention as long as it did. My favorites have certainly evolved. I was so focused on the novels early on, particularly the Zahn ones. As the old EU got bogged down over the decades first by all its own details and then by not very successfully trying to echo whatever the prequel-era stuff was doing, I turned back to the OT. I don’t want to go there and I certainly don’t want to met anyone. I kinda freeze up even with low-level celebrities like authors, thinking about meeting the characters is just out of the question. Most people don’t take in all Star Wars content and focus on a few things. I’m curious for you what you are drawn to and what you usually skip (films, TV show, fan fiction, comics, books, etc.). Going along with this question I know for me my Star Wars fandom has had highs and lows depending on the content Lucasfilm was putting out and what was going on in my life. Has your fan excitement remained steady over the years or have there been highs and lows for you as well? During that period most of my fandom interaction was via the Club Jade list itself. I won’t say it was drama-free, but it was hardly as rough as some of the stuff we’re seeing now with fandom and the sequel trilogy. 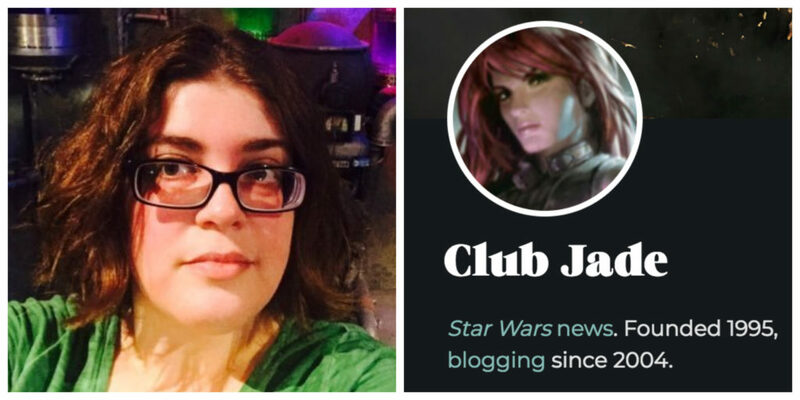 I started getting back into things post-college, helping to moderate the starwars.com message board through the early 00s and starting up the Club Jade blog in 2004. 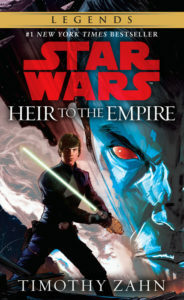 I maintained the focus on the books – I’ve never been much interested in all the prequel-era content – and I was starting to get very disillusioned with the EU with first the unrelenting drudgery of the New Jedi Order and then those last two big Legends series, Legacy of the Force and Fate of the Jedi. It was a very slow disillusionment. And then Disney happened, and we learned there would be new movies, and that was the big kick in the pants I think the franchise needed – at least for me. But these past few years – since about summer 2016 – I’ve certainly been taking steps back from fandom and not participating as much, due less to what’s being offered and more just general life stuff. You were active in Star Wars online fandom in the mid-90’s. For people who came online (at least fandom wise) much later can you talk about what being a fan online looked like back then and the similarities and differences you see between people talking Star Wars in the 90’s and now? Return of the Jedi was the “worst” Star Wars movie! We paid for internet by the hour! But seriously, you kind of had to dig. I knew a few other Star Wars fans in real life, but they weren’t really into the same stuff I was into at all. Getting online was a total revelation because I was suddenly able to have actual discussions about the books I was reading. And we cared, deeply – maybe too deeply – about things I’d brush off today. It was all so new to us – the very concept of fandom. I mean, I was 16/17, I’d been to the local comic con but only the merchandise floor. I’d been to comic shops but everyone there was all about superheroes. Star Wars wasn’t a huge cultural thing (again) yet – it was more underground, it had a deeply geeky reputation. We were nerds. I would carry the books in bookstores with the title facing inward. Another CJer would keep her books in the underwear drawer – I’m not kidding. Literally, the underwear drawer. We hadn’t yet decided to be geeky and proud – though quite frankly I was never really cool so I didn’t have much to hide. But I felt I did, at least part of the time. But I got really, really lucky – I found my people pretty quickly. A lot of the folks I was discussing the books with turned out to be members of Club Jade, and that was in and of itself a revelation. Tell me about the online newsletter you founded A Certain Point of View. I sometimes wonder if online newsletters and/or fanzines of some kind might make a comeback since it can be so hard to be online as a fan to control what you see (mostly meaning keeping the trolls away). To me there’s something delightful (and controlled) about getting a once a week or once a month newsletter rather than jumping around a variety of blogs and podcasts – but maybe I’m just old school. We did fanfic reviews – me and a couple of reviewers – and we were often kind of mean. I do deeply regret that part of it, and it would never fly in fandom today. I got some other contributors – someone wrote about zines, for instance. I don’t think it was a bad idea but I absolutely did not have the experience, let alone the empathy, for the concept. It’s a part of the reason that I am to this day the worst sort of fanfic reader – the lurker who never comments. (Or, well… Hasn’t commented much.) But the main lesson of CPOV was that I liked doing the news part a lot more than the rest. Eventually, the website ended up being picked up by Jedinet, which was one of the big sites of the day. (Because web space wasn’t really a common thing back then – this might have even been before GeoCities – it was a common thing for big fansites to host others.) The whole experience ending up kind of souring me on big sites, though – and I ended up leaving, and CPOV stagnated and eventually died. Again, right before TPM! That was also about the time I ended up taking on parts of the CJ website. I think if I’d kept on doing CPOV, it would probably have ended up being a lot like the CJ blog – dropping the fanfic aspect and keeping up with the news. Blogs themselves are kind of dying – I certainly haven’t been able to devote as much time to CJ as I have in the past – but I am seeing an uptick in newsletters. So, maybe! How would you describe Club Jade to someone unfamiliar with it, why you wanted to get involved with it, and how Club Jade has changed over the years? 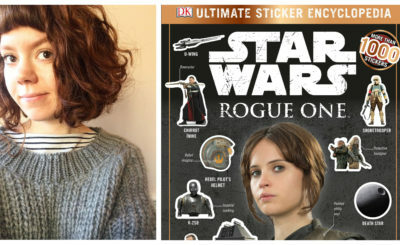 If you were entering online Star Wars fandom right now do you think you would have a desire to create your own space? Club Jade was created off recs.arts.sf.starwars in 1995 as a discussion group for fans of Mara Jade and Timothy Zahn’s novels. I was an early, but not an original member – I got online in 1996, and joined at some point after that, only to discover just how many people I knew from AOL and the Star Ladies chat were already there. There was a lot of fanfic in the early days – fanfic WAS the website when I joined. We evolved quickly out of necessity more than anything else – the sometimes controversial policy of needing members to be sponsored happened mainly due to a trolling incident, for instance. It was, in retrospect, some fairly mild trolling, but it was the first time any of us had encountered anything like that. Over the years, though, it’s really become more of a friend group than anything else. When we pick up new members, it’s usually at cons. The fanfic part really died out a long, long time ago. There are still some fanfic writers and readers in the group, but they’re not really doing Star Wars anymore. I think we really ceased to be relevant to the wider community when the automated fic websites came in – fanfiction.net and, at least in SW and particularly Luke/Mara, the fanfic boards on TFN’s Jedi Council. There were also a few L/M mailing lists that were active long after CJ had moved on, though I don’t think any of them are still active. I pretty much keep the fanfic up for the historical value of it. We might very well be the oldest Star Wars fanfic archive – not the oldest fic, as some fanzine stuff is available, but I do believe we’re the only remaining archive site from back in the 95-97 era. I’ve handled the website since about 2000 and 2001, and that’s really the only part of CJ I’m in charge of. I developed the blog specifically as a way for us to get out of our little ivory-tower rut – And I’m not sure how successful it’s been, particularly since it’s mostly me posting! But I do enjoy the news stuff. I’m not sure if I’d start a space if I was coming in fresh, though – often I do default to lurking in new spaces! You also used to be one of the moderators on the forums on the official Star Wars site. How did you become a moderator on those forums and what was that experience like? The people running the official site at the time asked on CJ for volunteers. I don’t know if I was really suited to it – most of my message board experience at the time was lurking on the Hissyfit and Fametracker boards – but volunteer I did. It was both refreshing and, towards the end, fairly frustrating. I spent a lot of time on those boards but there simply weren’t enough moderators and a lot of us burned out – including the admins, I think. But at first, it was nice – there were a lot of people on the boards who weren’t your typical board types, who weren’t super jaded and snarky (oh, the irony) and typing essays where a sentence would do. It was a tad more casual than the established places. Do you go to a lot of comic or Star Wars conventions? If so what were some of your favorite memories from conventions you attended? I’ve done a few, but my only consistent convention is Celebration – I’ve been to all the domestic ones since III – 2005, Indianapolis. I volunteered at most of them, and my favorite duty was the “quiz team” at III and IV. Everyone loves to answer random trivia and get free stuff, especially if they’ve been waiting in line. But my absolute favorite Celebration memory is The Force Awakens panel at Celebration Anaheim in 2015, where they debuted the “Chewie, we’re home” trailer. We were way in the upper level but it was just magical all-around. The Carrie tribute at Celebration Orlando was amazing, as well. What are some of your favorite novels from the Star Wars Expanded Universe (now Legends) and what have been some of your favorites of the canon novels? Are there any characters from Legends you think would work well in new Star Wars stories? 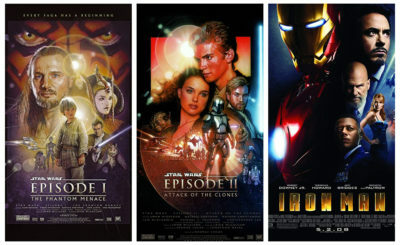 I’ll always be a sucker for the original Thrawn trilogy – dance with the one that brought you, etc. And the same for the Spector of the Past/Visions of the Future, just because I never expected Luke/Mara to happen at all, and it did! That was basically the highlight of my first decade in fandom, for sure. I’ve found that I’m not really much of a shipper overall, but it was a huge deal for me – and for CJ – at the time. For the canon, I’ve had a lot less luck, because most of the stuff that interests me aren’t really things that aren’t going to be explored until the whole sequel trilogy is out – if at all. I can’t really fault many of their choices, but they really aren’t for me. But right now I’d say Bloodline, Legends of Luke Skywalker, and Last Shot are the highlights, with the Aftermath trilogy as an honorable mention. There are a lot of characters from Legends that I think could work, but of course, I’m mostly asked about Mara Jade. And I absolutely think there’s a way to make that happen, but I don’t think it actually will – and I’m terribly picky about it so I hope they don’t. It’s a situation where I wish I had the wherewithal to write fanfic. What would be your dream book announcement at Star Wars Celebration Chicago? Honestly, I have no idea! I’m kind of at the point where I’m willing to be surprised. Would you rather have a cameo in The Mandalorian or Episode IX and what would that cameo be? IX, absolutely, if only for the experience of getting to see the set. (And probably not talk to anyone.) And probably something that gets cut. Or maybe I’m hiding behind something. Can you share any projects you have coming up or what you see as the future of Club Jade? Right now I’m just treading water, basically. I try and keep up with the blog, but it’s hard to say what I’ll have the energy for one day or the next, particularly in an election year. I do hope to get a new template up, which always helps my blog ethic, but again, it’s hard to say. Club Jade itself – we still get together at least once a year. I saw a whole bunch of people in March for a wedding, and we have our regular gathering in June. I’m hoping I’ll see at least a few at Celebration in April. We’re not quite as crazy as we used to be, but we’re planning at least a little something for next JadeCon, which will be the 20-year anniversary of the time we married Luke and Mara cardboard cutouts in Vegas. You can find Tracy Duncan on Twitter here and the Club Jade website here. 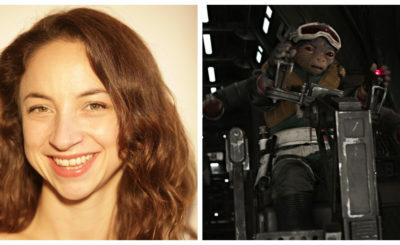 Check out the entire list of women in 365 Days of Star Wars Women in the Women in Star Wars Index. It includes highlights from each post plus notes which posts include new 365 interviewswith actresses, writers, artists, and more.